Good morning Team Stryker fans! The proof of Team Stryker Volume 001 came in the mail the other and I couldn’t be more excited! There is something very special about seeing 8 years of hard work all put into one book. 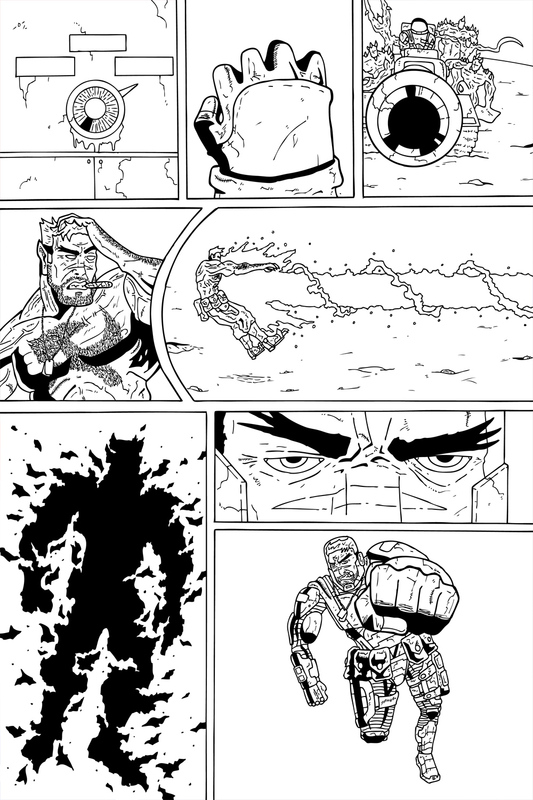 I first drew Team Stryker in 2007 as a wedding gift and it’s very satisfying to see how far it’s come in 126 pages. Hopefully people can see the progress made from Mission 001 to 005. It makes it harder for me to enjoy the first few issues but they were a great learning experience that helped mold Team Stryker into the powerhouse it is today. Hopefully I’ll be able to announce some news on where you can pick up Volume 001 in the near future!